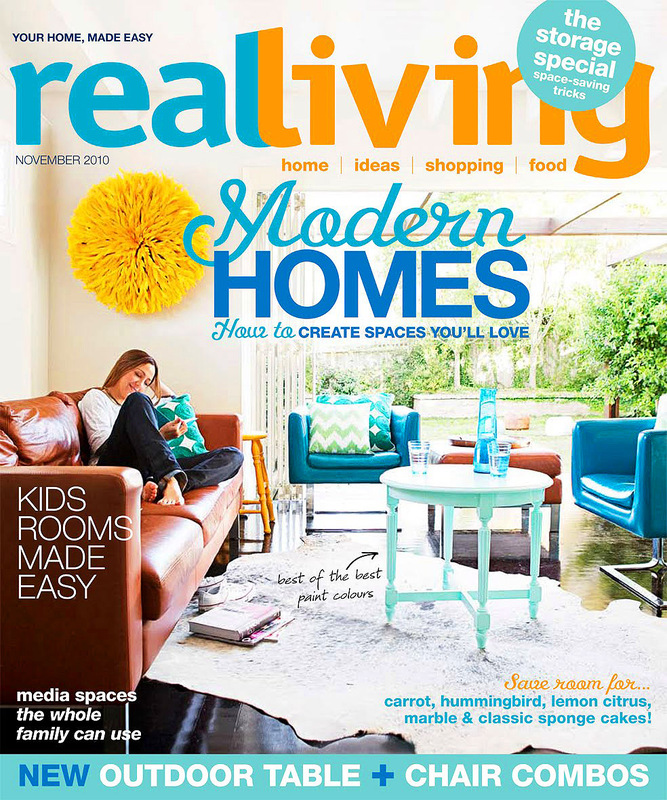 A VERY special issue of Real Living magazine!!!!!!!!!! Wow! Congratulations and what a great cover - it's just so fresh but still cosy - nice work team! Big congrats Louise, you know you've made it when you are on the COVER of a leading magazine!!! Don't you love it when that happens? Congratulations! yikes...ok..I dont know what happened to my last comment? ?..so I will say it all again..
Congratulations Louise! I recognised your home straight away when I picked up my copy out of the letterbox last week (those gorgeous chairs gave it away). The whole issue is amazing, but wow, what a cover shot! Happy dances all round at your place?? That is so COOL, CONGRATS.... the cover looks fabulous! congratulations!! i will have to pick this up in the states at barnes and noble! Congrats! That really must be surreal. How fun! I got my issue today and was very excited to see your house in it, not to mention you on the cover. The house looks great! Very inspirational. A big congrats Louise! Awesome awesome awesome!! Hope you enjoyed it up here in Sunny QLD :) Where did you stay? Can't wait to see the inside. Big, big congratulations. So exciting. Congratulations!! Can't wait to see the rest of it, the cover looks fantastic. I was very excited to see you on the cover and your gorgeous home featured inside it. Real Living is my favourite magazine. I loved your turquoise table on the cover. that's so cool - huge congrats! Yay - you look fantastic! Congrats Louise! No wonder it was my fave issue! I saw the beautiful cover and i was sold. a HUGE congratulations is in order to you lady.